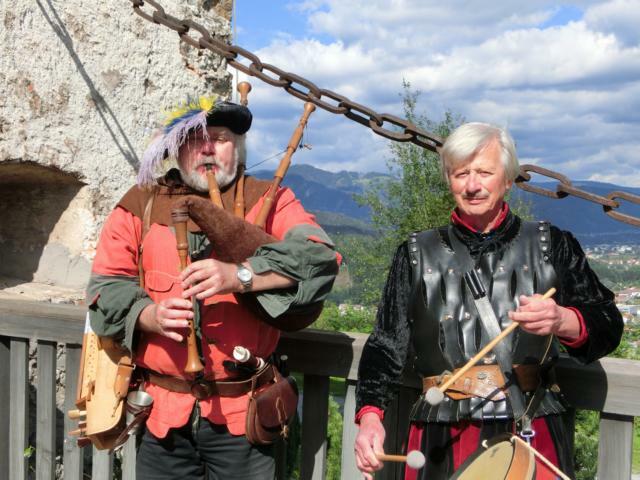 The drummer Helmut von der Wieden plays the drum and our gleeman Arnold the bagpipe, the hurdy-gurdy and the flute. 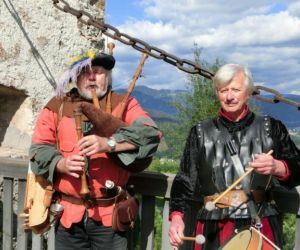 Please ask the castle office. 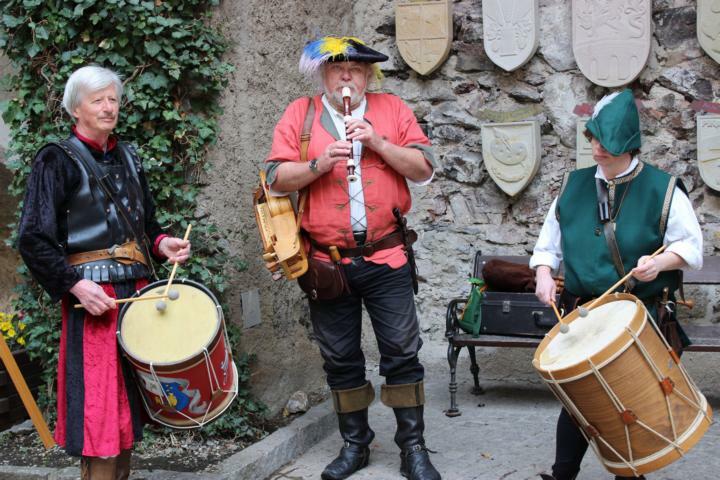 The troupe of drummers from the club “Tafelrunde” lend a festive air to any occasion. 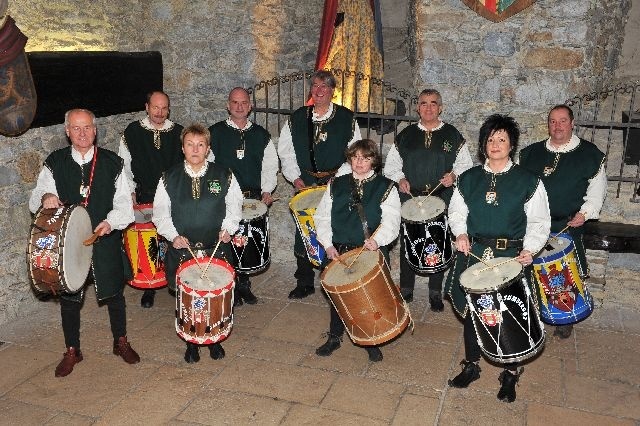 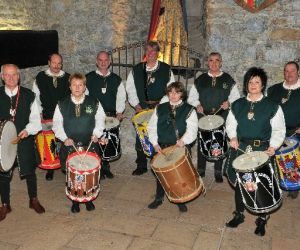 The troupe of drummers will greet you at the drawbridge / from the tower terrace / in the castle courtyard / on the terrace / in the Knights’ Cellar / in Stubenberg Hall and keep you company for about 30 minutes. 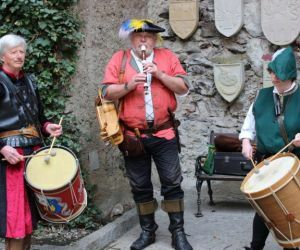 In cases of visitor delays an additional fee of € 15.00 per half an hour will be charged after a grace period of half an hour.